Visit a farm of 100 hectares to learn how to make carefully grafted which gives life to a new type of plant or clone known as CCN51, Some of the most productive in the world KNOW the processes of drying the seed its fermentation and roasting until the elaboration of chocolate. In the afternoon we will observe the Commune of Atahualpa. A workshop of artisans dedicated to the elaboration and confection of wooden articles. Further on, there is a small fishing port. Ancón was one of the main commercial oil producers of the coast. We will appreciate the extensive beach of Mar Bravo. Its waters are of strong waves, ideal for surfing.Next we will find Punta Carnero spa, it is also known as the shrimp route here there are Camarón larval pools. 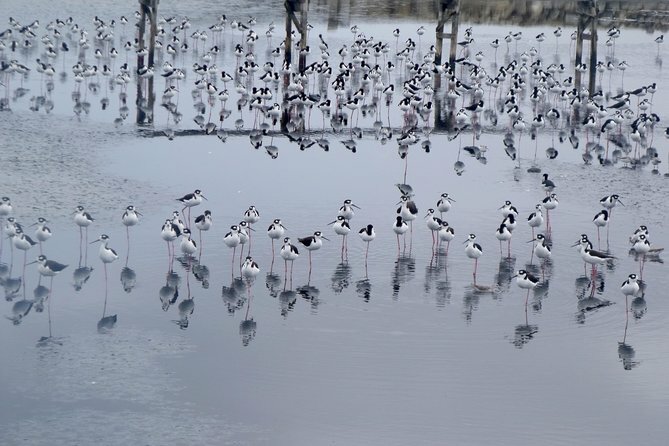 Finally we will arrive at the pools of Salt where an important refuge of 140 Migratory Bird species that make this place its habitat, we finish our visit with a brief passage along the beach where we will be around an hour, and then return. Our activity will start from 8:00 in the morning. Course to a Cacao farm of 100 hectares. We will know how since 1960, in an arduous and intense selection of Ramillas of the most productive trees, grafts are carefully elaborated which gives life to a new type of plant or clone known as CCN51, A very strong, strong variety and one of the most productive in the world, We will learn the drying processes of the seed from its fermentation and roasting until the chocolate is made, The objective is to taste a product 100 Pure% with a handmade feeling. We will walk along the extensive forest path and observe different varieties of mangoes, banana plantations, Papaya, Marañón and Achiote. In the afternoon we will travel an hour and a half until our next destination on the way we will observe the Commune of Atahualpa. A workshop of several craftsmen dedicated to the elaboration and confection of wood articles, later it is a small Fishing Port called Ancón, this place was one of the main oil commercial producers of the coastal region, along the Commune can be see the pumps called pump jacks. We will continue our journey Bordering the coast We will appreciate the beautiful and extensive beach of Brave Sea that is 17 kilometers long and a cliff of 3 meters high, its waters are of strong waves and it is ideal for surfing. On the side we will find Punta Carnero spa, also known as the Shrimp Route, here there are a series of Camarón larvae pools, finally we will reach the salt pools, this factory produces this industrial soluble mineral since 1961. In the lagoons that form around the Mines. There is an important refuge of 140 species of birds that make this site their habitat, this place has become the first place of regional importance of birds of Ecuador since here hundreds of migratory species that travel from the northern hemisphere by the pacific coast, to the south of the continent. We will observe pompadour plovers and their five different species, as well as White cheeks ducks, South American terns, Gray or white herons, Cocoy herons, Pink herons, Yellow-winged storks, Black-necked storks, Snowy herons, Dominican gull among other species. We finish our visit with a short step on the beach where we will be around an hour, then return.